At Safari Towing, we always provide efficient, prompt service to our customers while sticking to stringent safety guidelines. When your vehicle lets you down, Safari Towing offers roadside service to get you going as quickly as possible. We know you do not have the time to be stuck by the side of the road for hours, so we offer prompt, fast service when you have a problem. From tire changes to winch outs, we are there to offer prompt service whenever you need it. Safari Towing owns the equipment needed to deal with medium duty towing, providing specialized services to RVs, fleet trucks, school busses, and more. Safari Towing provides custom towing services for exotic car owners, and our professionals use safe techniques to ensure your exotic car is not damaged during towing. From antique cars to show cars, we will treat your vehicle with extreme care. At Safari Towing, we are aware of how important it is to maintain a safe, secure parking environment. We currently provide private property towing services for many top apartment buildings, businesses, shopping centers, and more. We’ll work with you to deal with parking violations quickly and professionally. Move Over & Slow Down! Please take care on the roads and when you see our lights, or those of any first responder or emergency vehicle, always SLOW DOWN AND MOVE OVER! Keeping parking environments convenient, safe and secure is important and maintaining that environment can prove difficult. 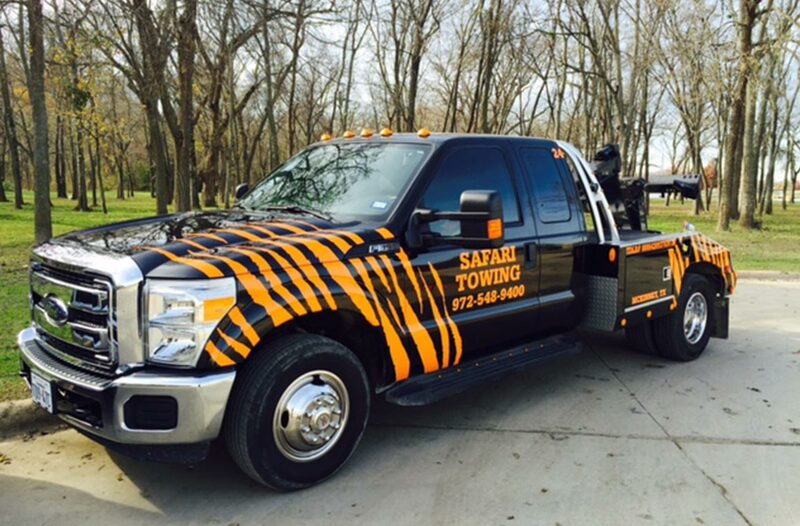 At Safari Towing, provide gas stations, business offices, apartment complexes, shopping centers, hotels, banks, and other businesses with towing programs that meet their specific needs. We quickly deal with any parking issues, and as a local company, we can deal with problems in minutes. Parking violations on private property are dealt with quickly, making it easier to maintain your parking environment. Box trucks, delivery vehicles, farm equipment, and other commercial vehicles break down too, and we are proud to provide medium duty towing services to our customers. We operate several medium duty wreckers, ready to provide safe towing service to commercial vehicles. 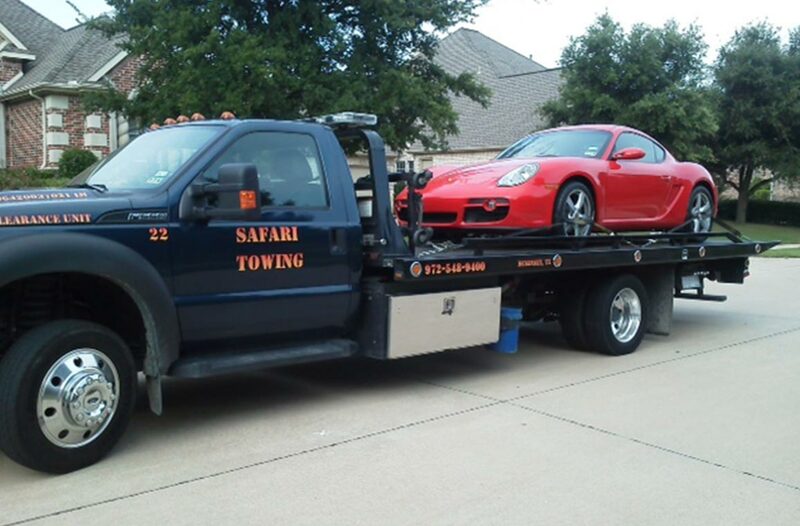 Safari Towing is also the official tow company for Ferrari, Porsche, Tesla, and Audi. Do you own an exotic or classic car? If so, we realize that you will require professional, custom towing services that ensure your vehicle is handled with care. Our custom towing services cater to the meticulous owners of show cars, antique vehicles, rare collectible automobiles, muscle cars, European sports cars, and other luxury vehicles. Our experienced professionals use safe techniques to secure your vehicle, ensuring that no damage occurs to your vehicle. When you need a company that you can trust with your car, we are the company you want to call.